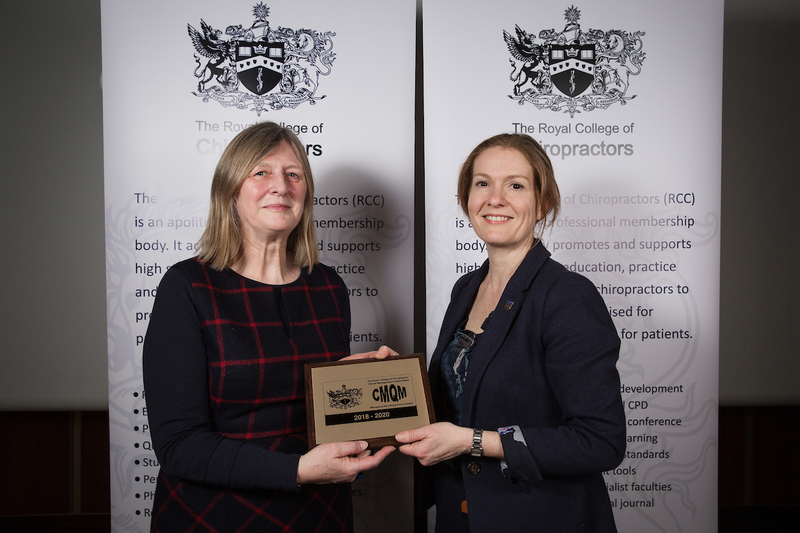 Wickford Chiropractic Clinic has been awarded the Clinical Management Quality Mark (CMQM) by The Royal College of Chiropractors. Rebecca Willard is pictured receiving the award at a ceremony in London from Sandra Tigwell, the PA to the Chief Executive of the Royal College. For further information about the Royal College of Chiropractors click here.